Alex Alec-Smith Books - TODHUNTER, John. SHELLEY AND THE MARRIAGE QUESTION. London. Printed for Private Circulation. 1889. pp. 19. 8vo. 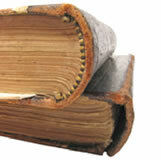 Printed boards, spine chipped. Limited edition of 25 copies. Published by Wise for the Shelley Society. Wise p143. Partington states that there where 28 copies.